Today we met up with some friends at the British Wildlife Centre. We have been once before and loved it there. It is big enough to keep the kids occupied for a day out, but small enough that you can walk round a couple of times without wearing yourself out. We also saw a weasel, a black rat, brown rats, rabbits, a field vole, foxes, wild cats, grey squirrels, harvest mice, and a kestrel. We went to a couple of the keeper talks as well and while we were at the hedgehog talk Jasmine found a very long worm, which took centre stage for the kids for a long time! She does like worms, does my daughter! Me, I think the highlight of my day today was seeing the adder. They only came out of brumation (snake version of hibernation!) a few days ago so we were very lucky today, especially as the weather wasn’t particularly warm. 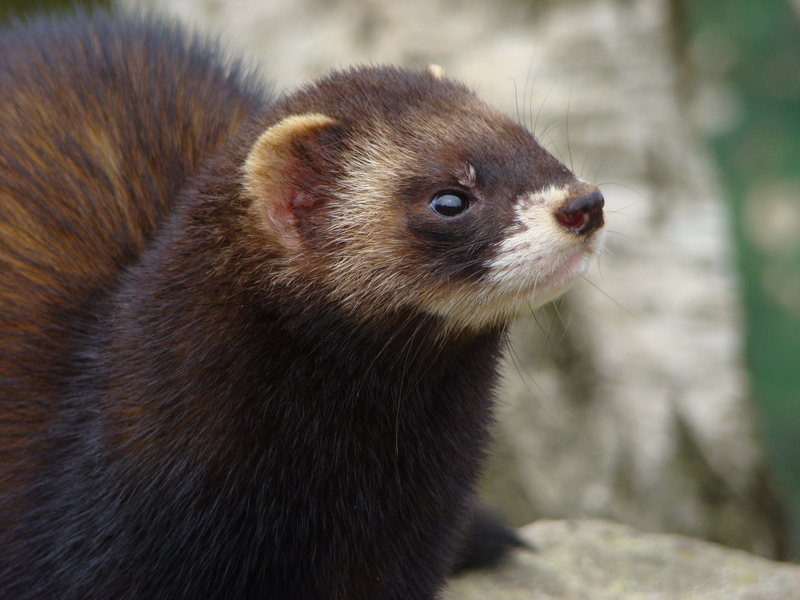 But I also enjoyed watching the Polecat chase around his enclosure, possibly because he posed for some great photos! This looks really fantastic and the photos are superb! I always think animals and children have a magnetic attraction for each other. Will bookmark the page in case we can make a visit there. Thanks for sharing.